My daughter and my niece both have a pair of Zipz Shoes, and they are the talk of the school! All of their friends want a pair! These are sure to be a big hit with anyone that gets a pair! 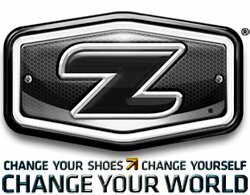 Be sure to enter to WIN a pair of Zipz Shoes, your choice of style and pattern! Maybe for yourself or as the perfect gift!